When it come to our overall health there are many daily factors that come into play. But one factor that is often overlooked is: dental hygiene. You may not think that having a healthy mouth can have an effect on the rest of your body/wellbeing? But truth be told, all aspects of your lifestyle have an impact on if you are on the right path to having a healthy mouth, body, mind, and life. Your oral health is more important than you might think. Let’s talk food Your diet doesn’t only affect your waistline, eating healthy helps boost the body’s immune system and the amount of energy you feel throughout the day. Essential nutrients are… well… essential. Vitamins and minerals allow you to function effectively. It is wise to avoid eating foods with high levels of sugar. Living on a diet of Skittles and cola will take a toll on the healthiness of your teeth, gums, and… you guessed it, your overall health. Let’s talk exercise The average person should exercise three to four times a week, at least, for a half an hour. It is a great outlet for stress and anxiety. Don’t love the “gym scene?” Try a team sport, yoga in the comfort of your home, get to know your neighborhood with an afternoon walk, or dance (like nobody's looking). This is a major part of overall wellbeing. When you look good, you feel good, and having a healthy and sparkling smile can give you the boost you need to put your headphones and go for a jog. Let’s talk oral health Oral health is incredibly important, but not just to keep your smile at its best. It contributes to your overall health. There is a staggering number of people who are aware of this fact, but don’t follow a healthy-daily-dental hygiene routine. Even worse, many do not have regular dental visits, which can eradicate developing problems that may be undetected without a professional opinion. The mouth is a gateway to an amazing complex system: the human body. By taking care of your mouth, you help keep the entire system working at peak condition. So, never underestimate its power. 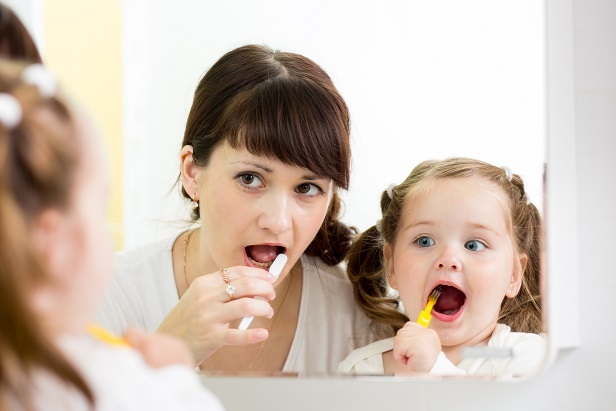 When you take good care of your oral health, you are taking good care of your overall health. Bacteria is a sneaky thing, and when you allow it to set up camp in your mouth, you are giving it access to your body. Bacteria will travel from the mouth through the bloodstream and studies have shown there is a connection to bigger-badder problems because of it. Oral health has been linked to diabetes, heart disease, and breast cancer (just to name a few), and those few should be enough of a reason to step up your dental game. Let’s talk smiling Being confident to share you smile has a huge effect on how you feel emotionally and physically. It also affects those around you. Sharing a smile with a someone (friend, family, stranger) can make a bad day good, a sad feeling go away, and… here’s the kicker…. has a lasting effect on your overall wellbeing. Moral of this “toothy” story: take care of your chompers and they will take care of you. For more information on the importance of dental checkups, contact our office today. Our staff can give you the good, the bad, and the ugly if you need more reasons to keep your mouth happy and healthy.